Christian Pilz was born in Munich and took his first percussion lessons at the age of eight. After secondary school he studied at the Academy of Music and Theatre in his native city with Peter Sadlo and Raymond Curtis. Important stages of his artistic career as a timpanist and percussionist include the Gustav Mahler Youth Orchestra under the direction of Claudio Abbado, the orchestra of the Staatstheater Wiesbaden and Nuremberg as well as performances with all the major Munich orchestras, while he was still a student. Beyond this, he performs regularly with the Dresden Philharmonic, the Konzerthausorchester in Berlin, the Mahler Chamber Orchestra, the NDR Radio Philharmonic and the WDR Symphony Orchestra. Concert tours have taken him throughout Europe and to the United States, Brazil, Mexico and China. After successfully completing the master class, Christian Pilz received a scholarship grant for the Orchestra Academy of the Symphonieorchester des Bayerischen Rundfunks, where he studied from September 2008 until March 2010. 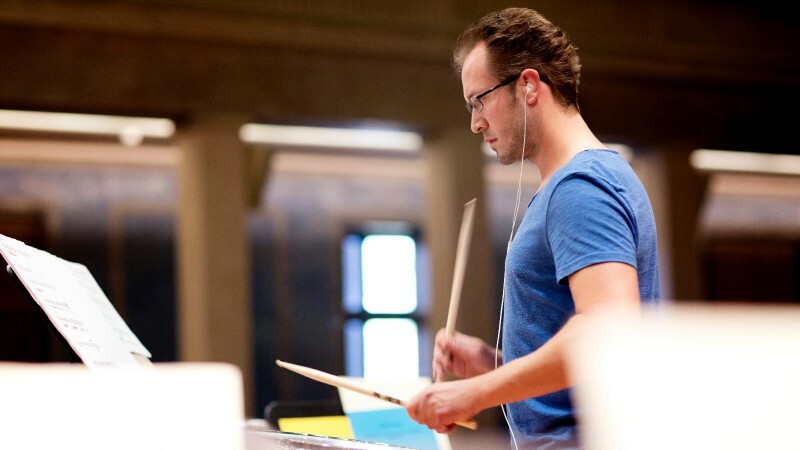 He was then engaged as principal timpanist in the Nioord Nederlands Orkest in April of 2010. Since September 2011 he is a member of the percussion section in the Symphonieorchester des Bayerischen Rundfunks.